Kids are not so scary. 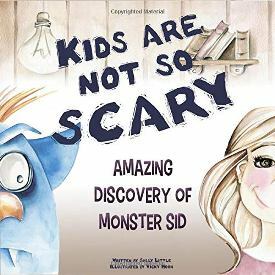 Amazing discovery of Monster Sid is an interesting and cute bedtime story for toddlers about a smart little Monster Sid who lives a quiet life with his loving mommy and daddy. But every night when the lights are off and parents are gone Sid cannot fall asleep because he is afraid that terrifying kid is hiding in his closet. Would you like to know what was hidden in the closet, where Sid met a child, and how little monster was able to conquer his fears? Read this amazing book and you'll find this out!